Compared to Square Pillar Candles,Colorful Art Candles are more popular.As life gets better and better, candles become more and more romantic.Whether it is Cylinder Candles or various kinds of Scented Candles , or Musical Birthday Candles , it is very fashionable and creative.Not only that, the beautiful Art Candles can be easily DIY, cultivate your own aesthetic appreciation and practical ability, and bring you more fun in life. 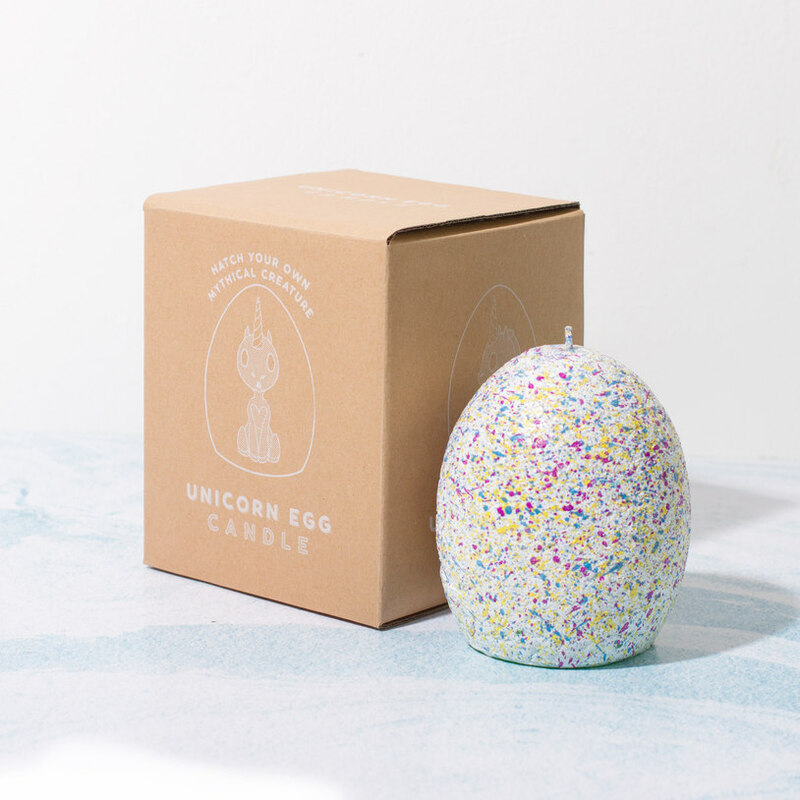 "Uuuh but Firebox, unicorns don't lay eggs." What you've done there is confuse a unicorn with a horse. Totally different creature. Unicorns can lay eggs, heal the sick, fart glitter – all sorts of cool stuff. Still not convinced? 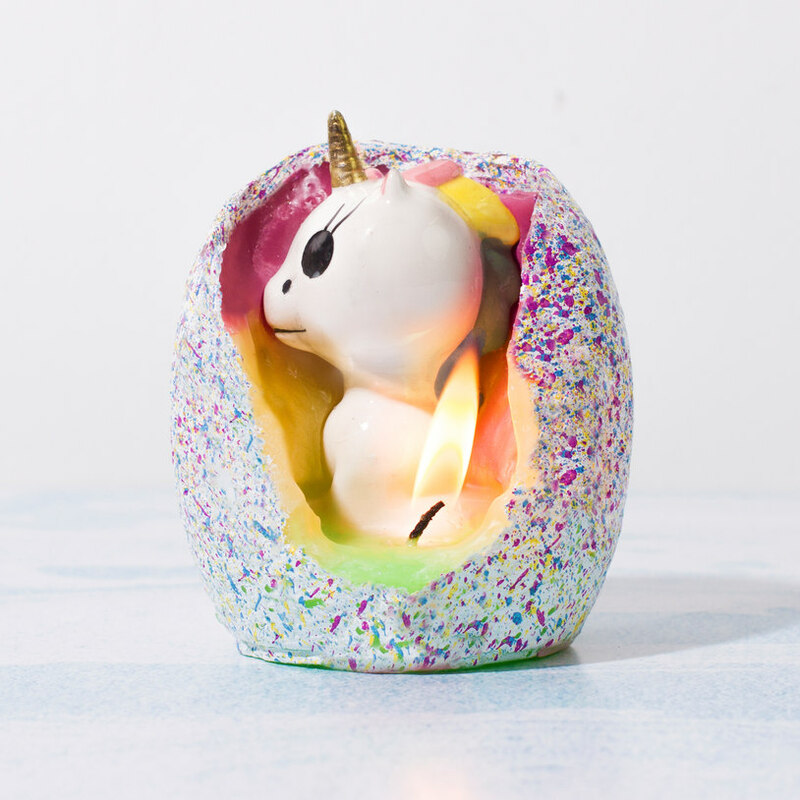 Just light up the Hatching Unicorn Candle and watch in wonder as a baby ceramic unicorn slowly begins to emerge from the melting rainbow-coloured wax. 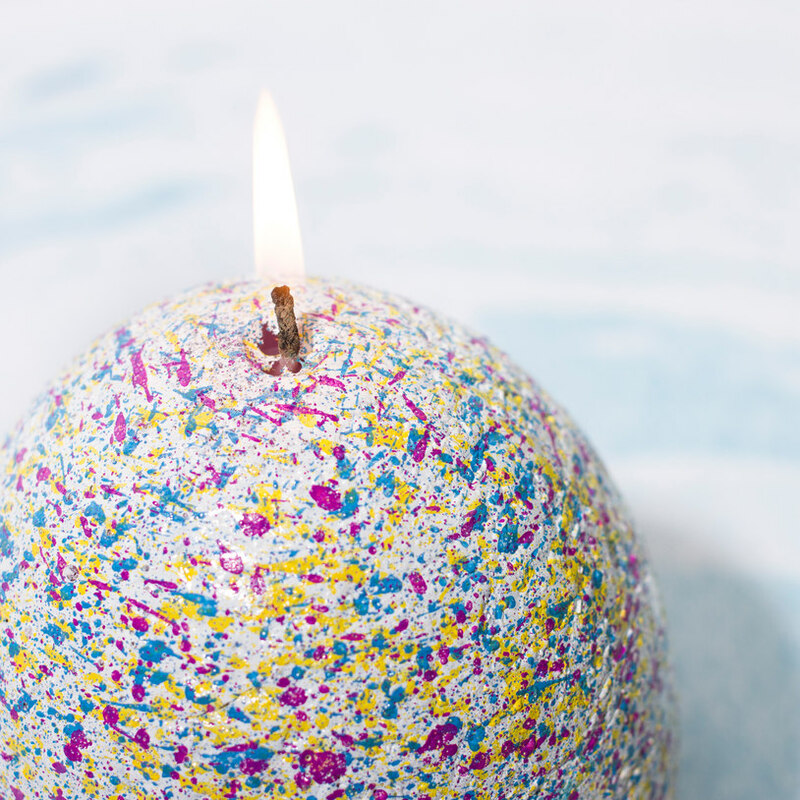 Looking for ideal Hatching Unicorn Candle Manufacturer & supplier ? We have a wide selection at great prices to help you get creative. All the Gift Unicorn Candle are quality guaranteed. 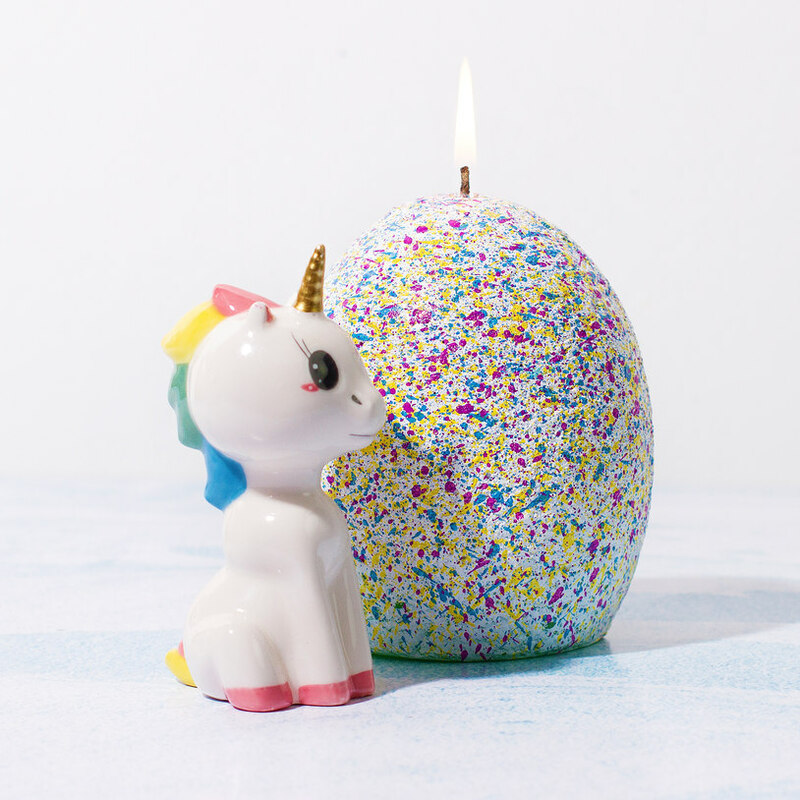 We are China Origin Factory of Scented Unicorn Candle Hatching. If you have any question, please feel free to contact us.